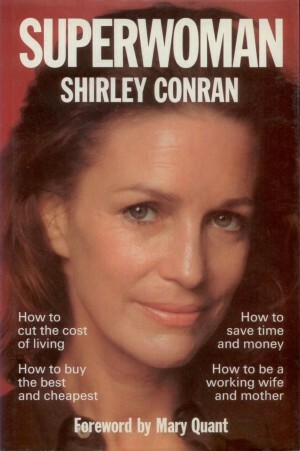 ‘What do you want to earn money at?’ Though 85, Shirley Conran is far too savvy to ask anything as old-fashioned as, ‘What do you want to be when you grown up?’ The bestselling novelist and self-proclaimed Superwoman-turned-maths education campaigner is sitting in the middle of a circle of 13- and 14-year-olds at Langley Park School for Girls, a non-selective academy in Bromley, south-east London. Analysis of the 2014 GCSE results shows that girls achieved more A* and A grades than boys in all the major subjects except maths. What’s more, twice as many boys as girls took maths and further maths A Level, while university maths courses remain predominantly male. “It’s a problem that does not exist so much outside Britain,” laments Conran. “At least that is what the Department for Education tells me.” Since starting her campaign 14 years ago, she has had countless dealings with the Whitehall mandarins, and is currently an adviser to the previous Education Secretary Nicky Morgan on encouraging more girls to take on Stem (Science, Technology, Engineering and Mathematics) subjects. It was the same logic, she points out, that in the 1990s prompted her to set up the Work-Life Balance Trust, and sign up three million workers to the cause, long before ministers started championing flexible working. Conran likes to see herself as a catalyst. Once she has done enough to get something taken up with gusto by government, she fades into the background. What also sets Conran apart is that she funds her causes herself. Most of her first decade tackling girls’ underperformance at maths was spent preparing Money Stuff, her lavishly illustrated, user-friendly interactive maths course, designed to appeal specifically to her target audience with its underlying theme that maths is the key to money and hence independent, fulfilled lives. As a stickler for detail, she insists on thorough market-testing of everything, which is why Money Stuff took 10 years to appear – and which explains her presence at Langley Park. Its girls’ track record in maths, says head Dr Anne Hudson, is outstanding compared with the national average, and it has been achieved by precisely the sort of innovative measures Conran is advocating. Typically undaunted, she commissioned a report, “The Fear Factor: Maths Anxiety in Girls and Women”, from the anthropologist Dr Samantha Callan, of the Centre for Social Justice. Its conclusion – announced at the House of Lords by Nicky Morgan in September – is that there is a “maths myth” that ability in the subject is “innately male”. It’s quite a rallying cry. Getting it across – the Callan report suggests a major ad campaign – will be a big undertaking, accepts Conran, and one better suited to the government’s purse than her own. The moment is approaching, she says, when she will hand over the baton to ministers. But not quite yet, she adds, as she returns to her gaggle of Year 9s and the box of chocolates.